We are committed to making your experience at Newport Beach Skin Cancer Center as comfortable as it can be. Dr. Rotunda and Dr. Bickle wish to make your visit very unique – for all the right reasons. Pleasant and comfortable should describe your stay with us, whether it be for a Mohs skin cancer removal or another dermatologic surgery procedure. Below are some aspects of our practice which we feel will make your initial telephone call, to that very last visit, refreshingly memorable. Call (949) 336-7171. 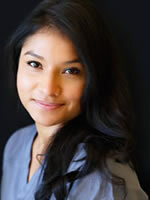 Passionate about medicine and bringing over 6 years of experience, Roxanne loves to work with patients. She enjoys spending time with her family and donating blood in our local charity Red Cross. 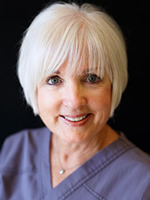 Roxanne completed her Medical Assistant degree at American Career College and has been working in the dermatology field for over 4 years. My professional background includes being a certified surgical technician (CST) within a hospital and surgical center setting. Previously, I was employed as a CST in Labor & Deliver at St. Joseph Hospital in Orange County. My responsibilities included performing as the lead scrub technician in all Cesarean Section and emergency surgeries. In addition to my past work experiences I have enjoyed the many challenges that the Perioperative arena has provided me especially the trauma training I received at the University of California Irvine Medical Center. I love helping and caring for others and healthcare is truly my passion. I am honored and privileged to be apart of this amazing team and I look forward to taking care of you. In her own words, "I was fortunate to learn in my early twenties that my career passion was working in the medical field, where learning, compassion, kindness and helping others are naturals for me. 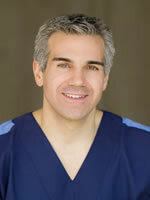 I began my career in Dermatology many years ago and here I am, following a similar path today. I am very happy to be a part of such a gratifying practice. 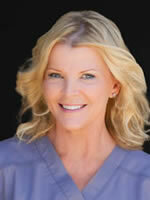 I have spent 40 years in the medical field and patient care and have loved every minute of it! Now that my family is raised, I have been blessed to enjoy another passion, which is writing. Two years ago I began writing inspirational thoughts entitled Monday Moments. They are little pearls of wisdom intended to uplift, encourage, comfort and inspire my reading audience. In the beginning, what was sent out as e-mails to friends and family every Monday morning, grew and grew over time. Now, I am fortunate to have my own website: www.mondaymoments.com. I welcome you to visit on a Monday morning or anytime, and find a warm inspirational thought waiting for you." 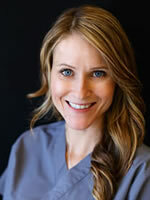 Jennifer has been working in the Pathology and Orthodontic fields for over 16 years. 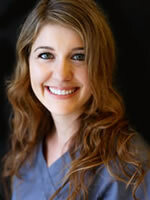 In her own words, "I find it extremely gratifying in helping with patient care and I enjoy it immensely. I have recently moved back to California from Oklahoma. I am very pleased to be back in this great state and feel very fortunate to be working along some of the finest people here in Dr. Rotunda's office. I have two grown children who are my passion and my greatest accomplishments. I also, have an associate degree in Interior Design. In my free time I enjoy music, movies, sports and hanging out with family and friends, and the beach of course…"
Becky has over seven years experience in the dermatology field and loves working with and caring for patients. 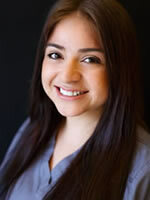 She has always had a heart for helping others and enjoys getting to know the patients. Becky has two beautiful girls that she loves spending time with. She also enjoys reading, music, movies, nature and being involved at church. I have been a part of this team for a couple years. I began as an office aid and transitioned into Dr. Rotunda's billing administrator. I am so grateful to have this opportunity to work along side some of the most kind hearted, loving people. Most important, our patients, are all wonderful people. I understand how frustrating and exhausting medical insurance companies can make our patients feel, which is why I do my best to get all the answers for them. I want all our patients to feel comfortable and confident when they walk through our door. Away from the office, I enjoy my days with loved ones by cooking for them, taking weekend vacations, working out, or simply relaxing at home. I am also a student at Cypress College, majoring in Business. As I grow older, I find out that the meaning of life is happiness. What makes me happy is bringing out the happiness in myself and everyone around me.